Below is a letter we received from one of our scholarship students, Saima Noreen. 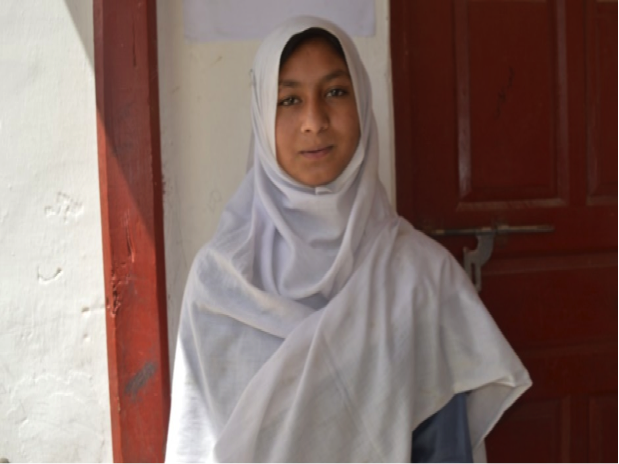 Saima is a high school student from the village Payo, located in Shigar, Northern Pakistan. Enjoy! My father is my inspiration. He has been through a great deal to make sure that my siblings and I can go to school, even on his small monthly salary of 1,200 rupees (12 US dollars). Even though a lot of people in my village believe that a girl’s primary responsibility is to get married and raise a family, my father believes that girls’ education is just as important as boys’ education. This is because he is a middle school teacher, and he has witnessed first hand the power of education and the transformation it can bring about in a person’s life. My school is very far from where we live – it’s a two hour walk each way. But it’s worth it if I can get an education. When I started going to school, there was only one other girl with me in the entire school. Now there are twenty. That is because of Iqra Fund’s work in my community to increase the enrolment of girls in school. Iqra Fund’s support has also changed things for my family. Iqra Fund gave me a scholarship, which relieved my father of the burden of my school tuition and supplies. Iqra Fund has also supported our teachers through trainings and mentorship, and that helps us in the classroom. I got top marks in my eighth grade exams which made me feel really happy and made my parents proud. After I complete my education I plan to be a social activist like Abdul Sattar Edhi, so I can change my community’s mind set regarding girls’ education, and help everyone in my village go to school. I hope that Iqra Fund will continue its work in my area so that people’s lives can continue to be changed the way my family’s life was.